Received my 4agze CAS today to replace the distributor. 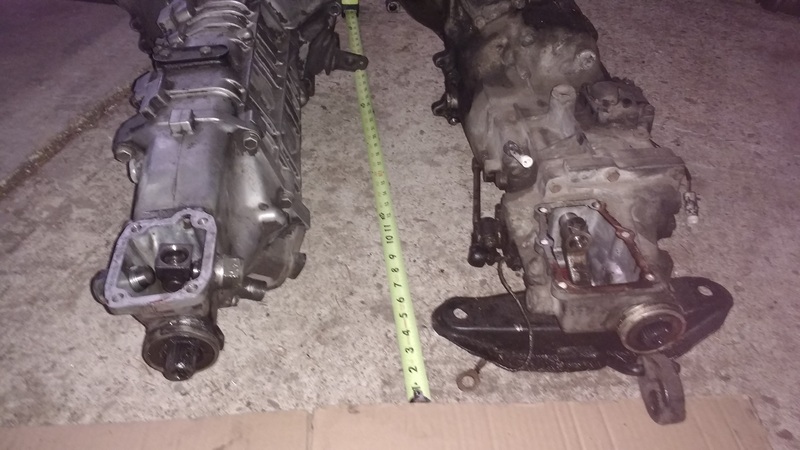 My son and I also got the 4wd trans out and compared it to the rwd t50 out of another project we picked up. we will be using it for the rwd conversion. 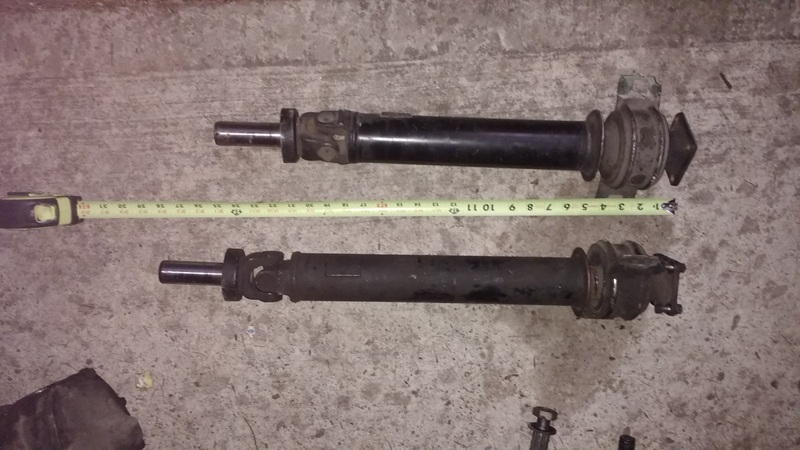 the splines are the output shafts are the same so we will be able to reuse the stock driveshaft! awesome win! 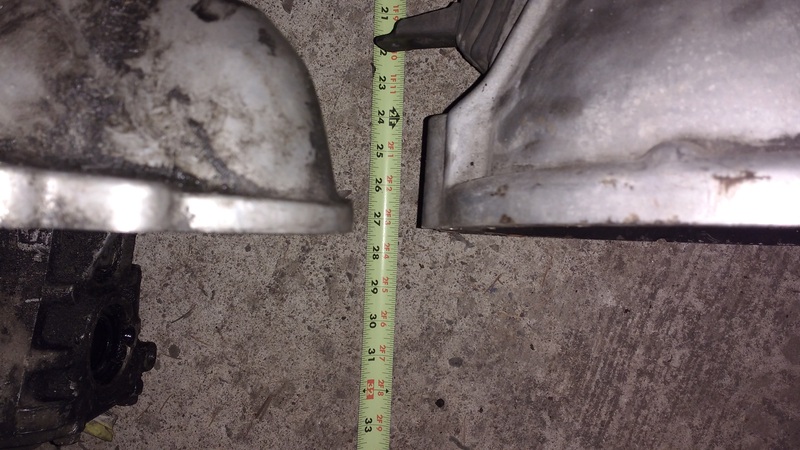 Here are the issues we found with the 4age bottom end. Crank Key is marred pretty bad. This custom water pump hard pipe will not cut it. It has been heavily rtv'ed. We will be heading to the junkyard soon to find a replacement bottom end. So the tear down process begins. looks like someone tried to use RTV instead of replacing the o-rings on the by-pass tube. I have done that when I did not have a replacement handy, but they only cost about 20 cents each. take the tube in so they can match the size, any auto parts store had a selection of o-rings. I put something on the o-ring to lubricate them to resist it getting damaged when you push the tub into place. 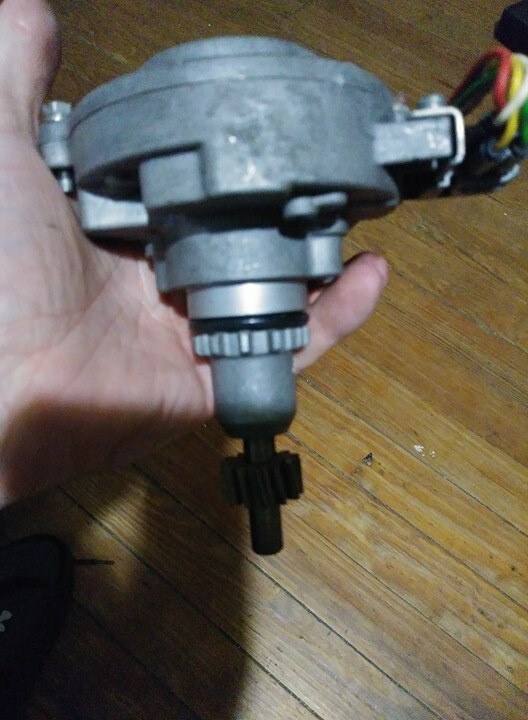 nice clean distributor replacement, is that a factory part from a newer model? or an after market assembly? 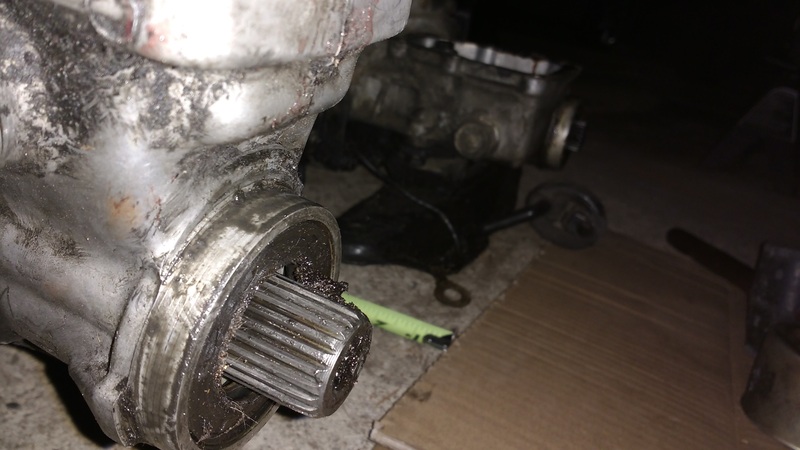 as far as the water pump goes I want to replace it anyways because it is a 3ac water pump and I need a larger 4age one that along with the crank issues I want to replace the whole thing and not deal with it. 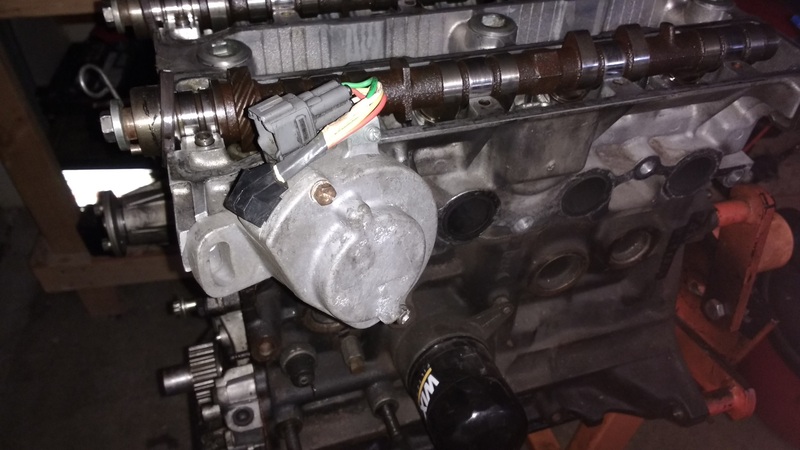 the CAS (Crank Angle Sensor) is off of a Toyota 4agze engine which comes out of supercharged mr2s and corollas early to mid 90s. Got any plans or ideas for modifying steering and control arms for more steering angle? What are you going to do about suspension? Coilovers? Hey guys its been a while and I havent made much progress but here is where i'm at right now. Got the head pulled off and took a look at the 4a block. 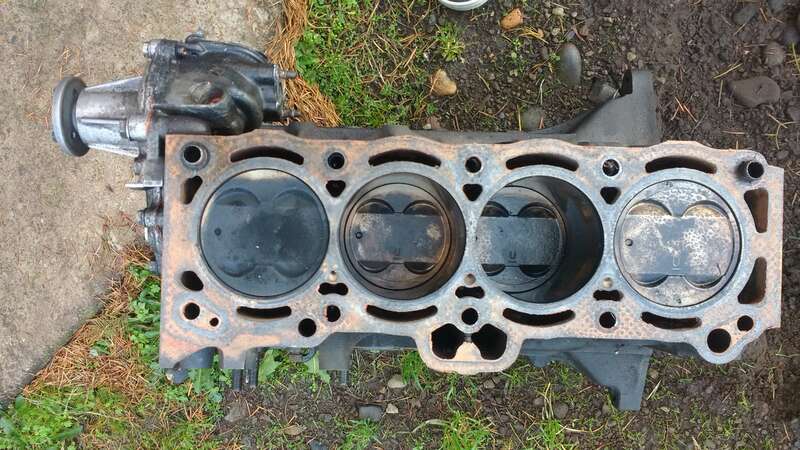 found some issues with a couple of the pistons, including this. So I decided to get rid of the block and source another one. 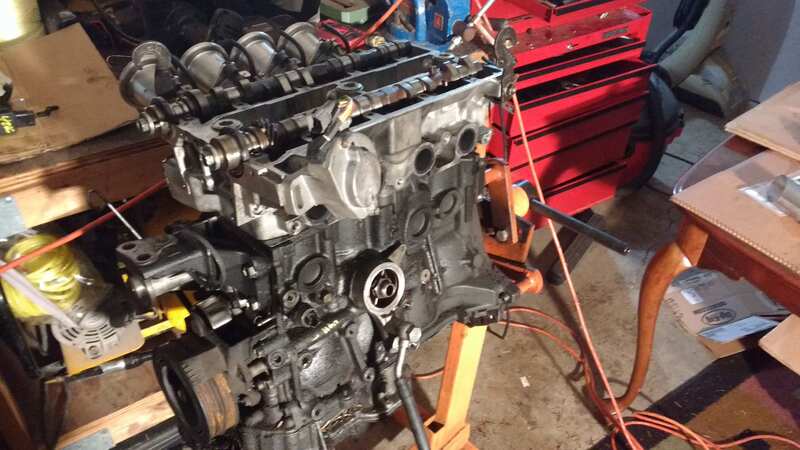 After too many hours at the junkyard, the new block is finally on a stand at home. 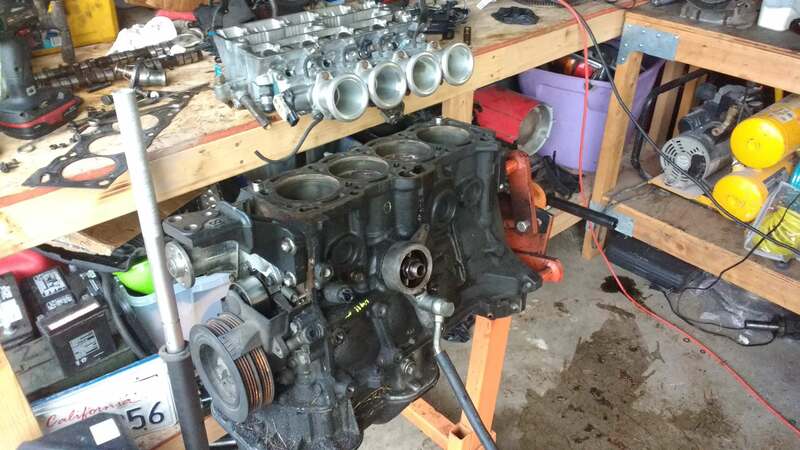 Soon I will start prepping it to get prepping it to go into the tercel. As far as suspension and steering angle goes, yes I will be doing something for it, im not sure what the end goal will be right now. 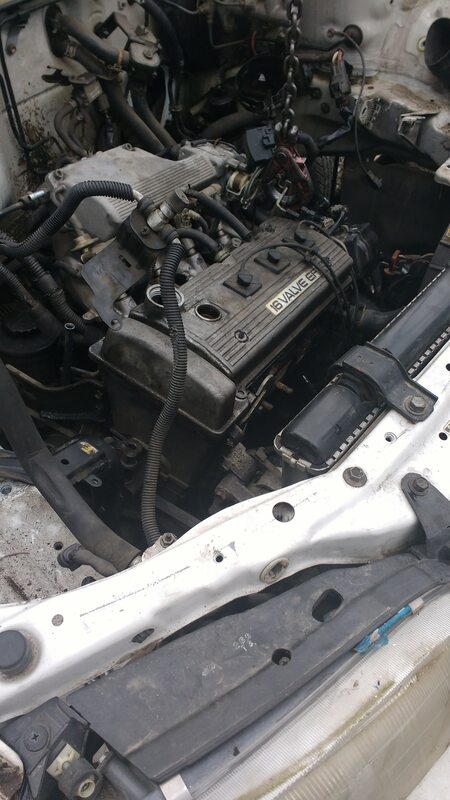 Easiest and most probable would be to convert full ae86 front subframe and suspension over. I will be looking at tackling this issue soonish. 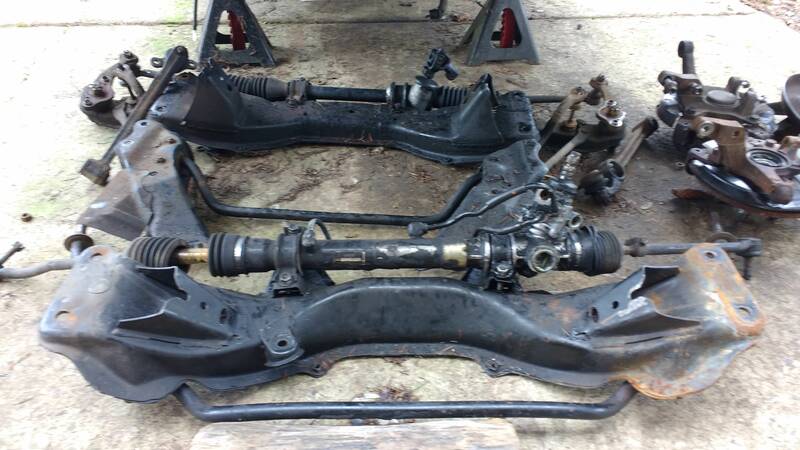 REALLY interested in seeing how ae86 subframe conversion goes! Do you post anything on ig or fb also? I am also interested in this. 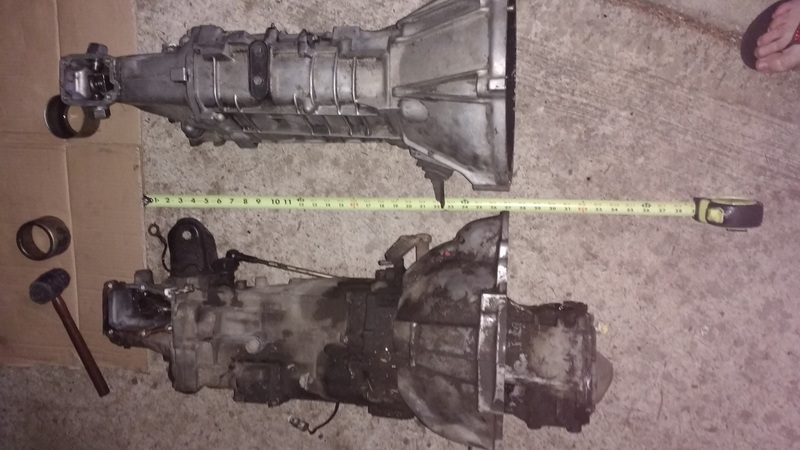 I made a 7ac for my tercel, however i want to make it into a 7ag with a tbi unit. 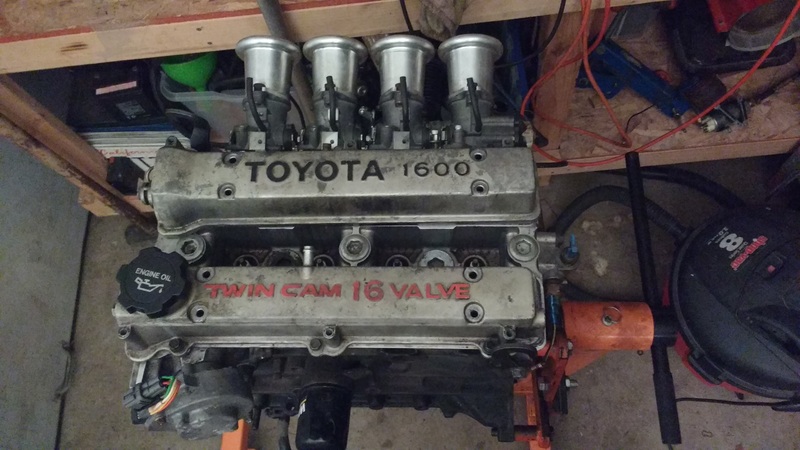 I already have a 4agze intake to use with my build. I was going to slap my 32/36 on it, however, holley just came out with a 2 barrel sniper tbi unit that I may pick up and slap on. Plus side of that holley unit is, I can program it for the tercel, and if I sell the tercel, I can take it off and reprogram it for my '79 continental. 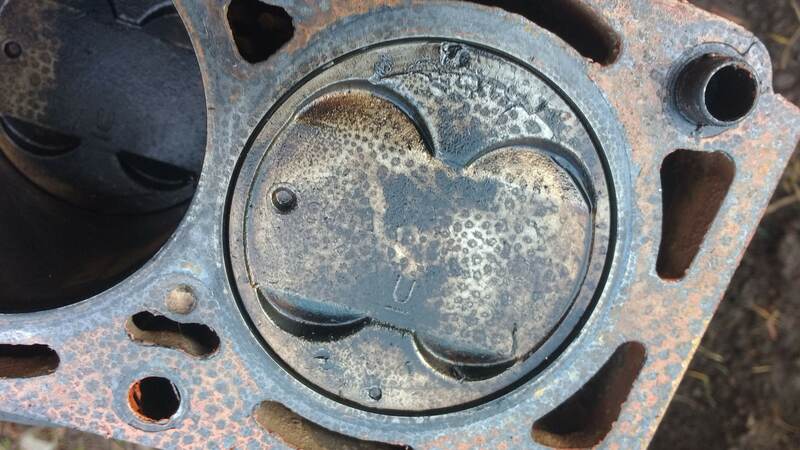 Also, let us know how you handle the indent on the block and the oil pan. The two piece pan will NOT fit! Been there, done that lol. I just used a crap load of toyota fipg on the indent and its been fine. 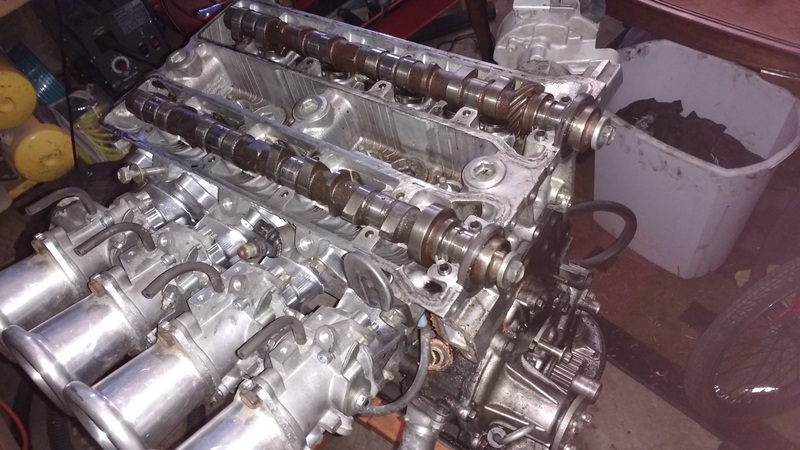 I don't have any pictures right now but I did learn that ae86 subframe is not going to work without tons of work that I am not willing to do. 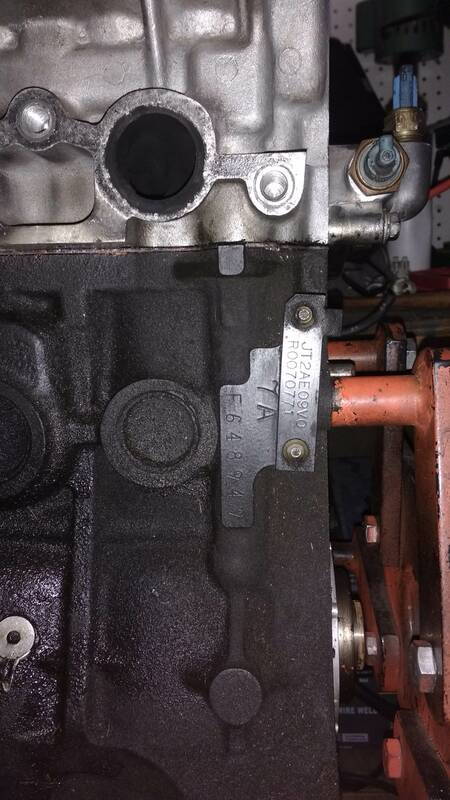 But I did find an alternative that allows me to keep the tercel subframe and am currently working on that. I am determined to keep the 2 piece oil pan. I have a couple idea of how to make it fit. I should be working on this some more this weekend and will update the thread with pics! Thanks guys for the continued interest. 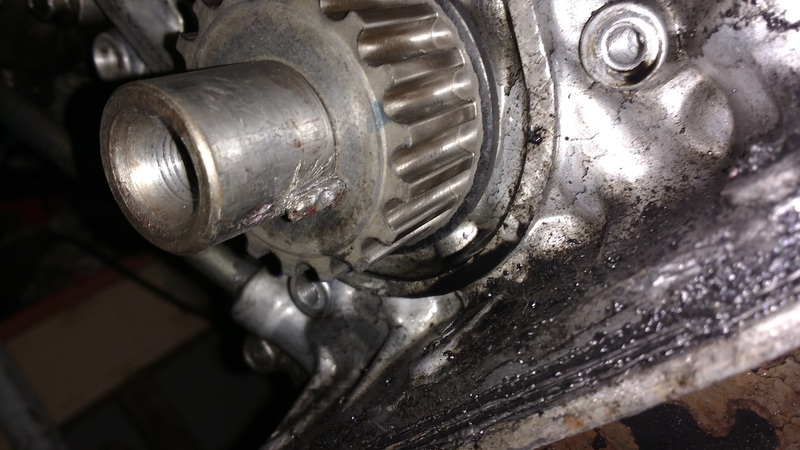 The issue I had were -- the oil pan hit the hump on the top of the differential, and it was also resting on the p/s lines, rack, and the sway bar. I ground the diff hump and got it to fit. However, it wasn't easy mating the two together. As for the other stuff, if you raise the mounts 1-2", you should be able to clear everything else. 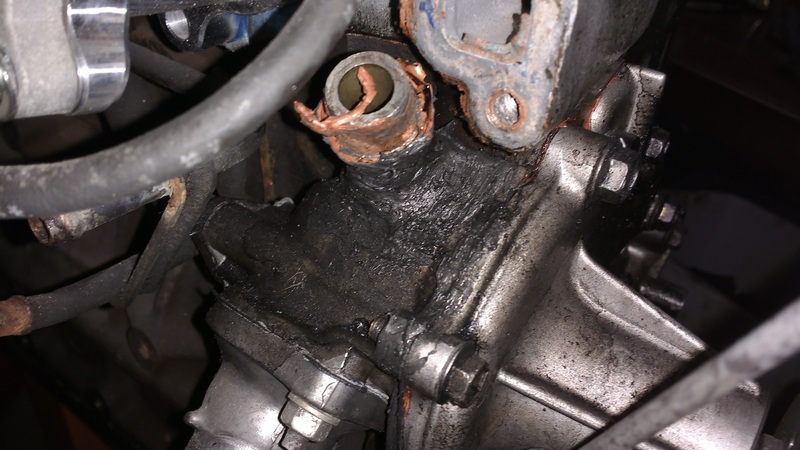 Just make sure you maintain the mounting angle of the engine mounts to make sure you don't run into any issues. THis car is RWD there is no front diff or axles or any of that crap. And I converted to manual rack so there is almost nothing there in the way except the sway bar, but I will be doing some test fitting this weekend. Schwoops I forgot. You're going to try to put a t50 in, right? Then the only issue I can think of is the pan hitting the sway bar (that is, if you still have it). yes the T50 will work perfectly. Trans mount and driveshaft both fit. I am in the process of converting from PS to manual rack. I will need to figure out proper tie rods next. Now this next piece is great news for everyone converting to RWD. Next thing to tackle will be to figure out engine mounts in order to keep the split oil pan. the steering arms are very different from the original to the new configuration. unless you are also moving the rack to the same location as your donor car, you will end up with undesirable bump steer. 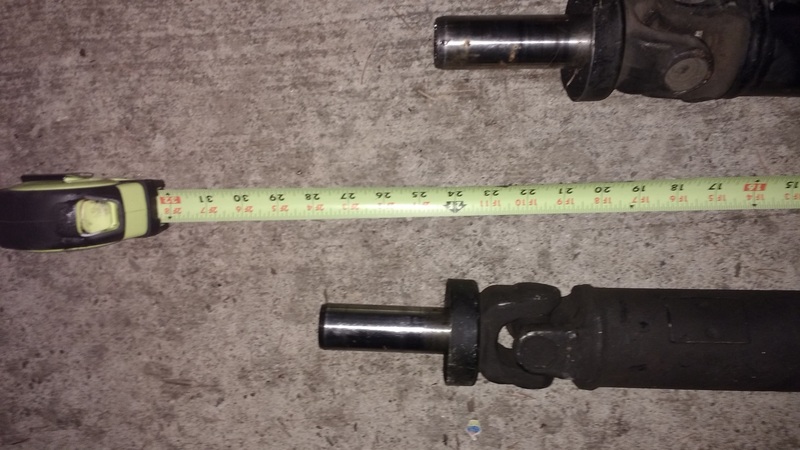 the geometry of the steering rack, tie rods, and steering arms have to be identical as the suspention moves up and down or you get bump steer. 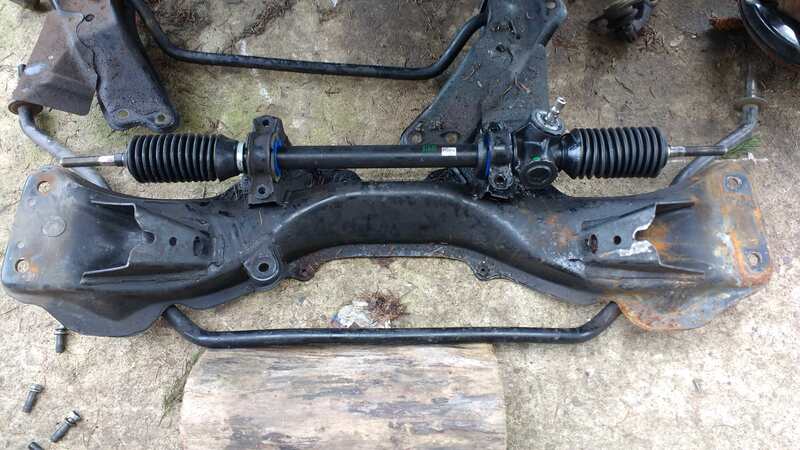 So either you have to reshape the steering arm to minimize bump steer, or find another way to make the radius of the tie rod match the swing of the steering knuckle.